Trip to France Day #15 - Uzes - 2011, Jan - 09.jpg | Flickr - Photo Sharing! A plate of controversial Foie gras. 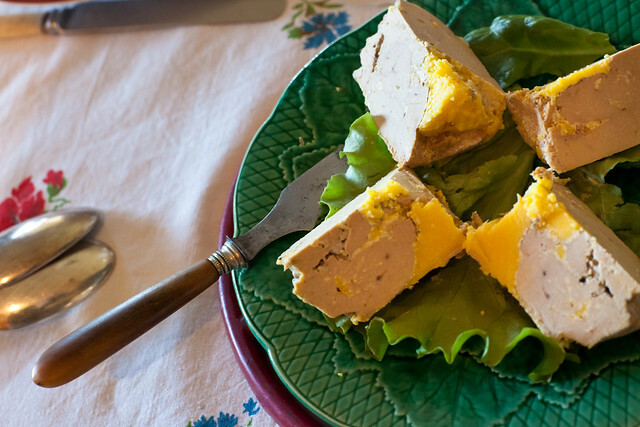 As foodies are well aware, foie gras is made of the liver of a duck or goose that has been specially fattened. This fattening is typically achieved through gavage (force-feeding) corn, a technique that dates as far back as 2500 BC. Find more about it on the blog.